Miami, FL — Tom Carroll and Hermine Ricketts recently had a run-in with the law and were threatened with daily fines for their illegal activity. Carroll and Ricketts weren’t robbing banks, or trafficking humans, or running some other criminal enterprise — they were growing their own food. That’s right. For 17 years, the couple grew their own food in their front yard until one day, the state came knocking. 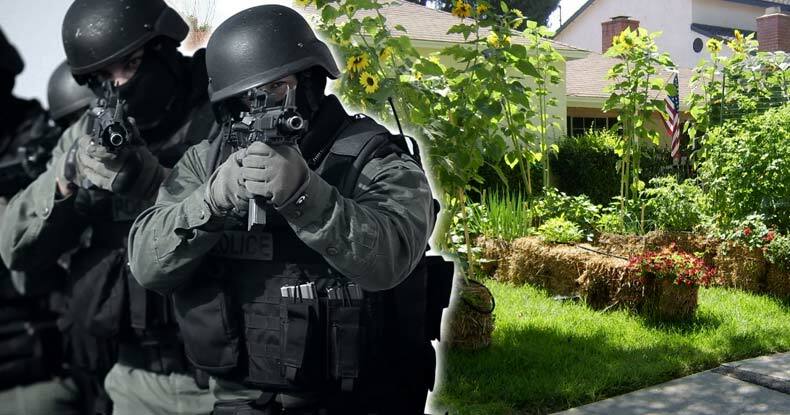 They were threatened with a fine of $50 every single day they let the garden grow in their yard. Not wanting to be extorted or kidnapped and thrown in a cage, the couple immediately complied and dug up their garden. However, now they are fighting back in the form of a lawsuit. The couple is represented by champions of freedom and liberty at the Institute for Justice whose mission is to protect the right of every American to own and use his or her property freely. Why on earth would a city enact such a law, you might ask? Well, no one was harmed by the couple’s garden, it was entirely organic, and in nearly two decades, not one of their neighbors ever complained. The only injured party in this ridiculous act was the state. In the couple’s lawsuit, they’re rightfully claiming that this law violates their constitutional rights. According to a report from FOX, at a hearing Wednesday, their attorney said the ban violates the Florida Constitution in several ways, including improper limits on their private property rights and violation of the equal protection clause by singling out vegetables over other plants. The couple’s claim of having their constitutional rights violated was quickly rebutted by the city’s attorney, who made the asinine claim that no one has a right to grow vegetables on their own property. It seems that in modern day America growing your own food has now become a revolutionary act.